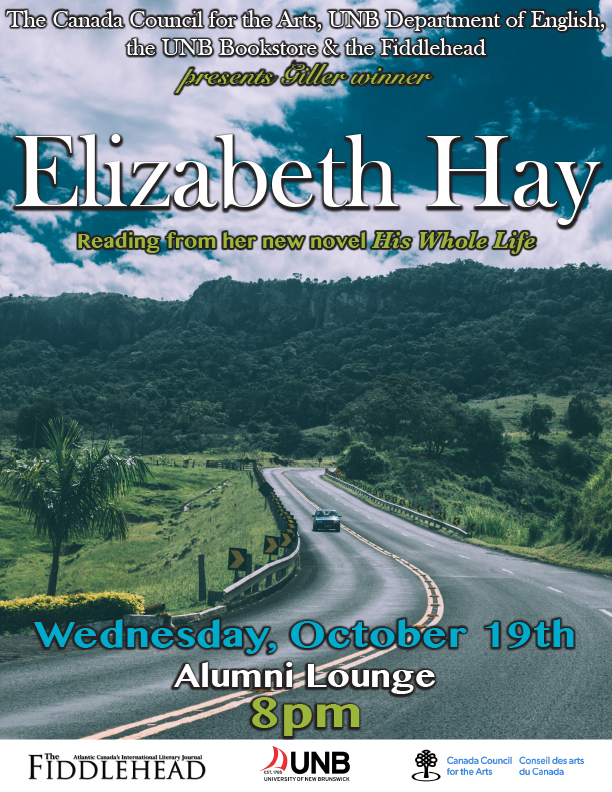 Elizabeth Hay will be reading from her work this Wednesday, October 19th at 8pm in the lounge at the Alumni Memorial Building on the UNB campus. The event is free to the public and all are welcome to attend. 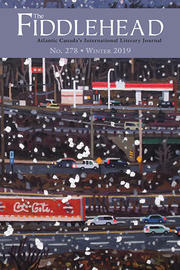 Her most recent novel, His Whole Life, is a coming-of-age story about a 10-year-old boy named Jim whose family is travelling from New York to Eastern Ontario. With a Canadian mother and an American father, Jim must navigate the conflicts that arise when family, country and nature are at odds. His Whole Life is a finalist for the 2016 Ottawa Book Awards. While Hay began writing as a poet, she was drawn to fiction — a medium with which she has achieved great success. Her novel Late Nights on Air won the 2008 Scotiabank Giller Prize. Garbo Laughs is the winner of the 2004 Ottawa Book Award and was a finalist for the Governor General’s Award for Fiction in 2003, while A Student of Weather won a TORGI award and was shortlisted for the Giller back in 2000. Hay and her partner have two children and currently reside in Old Ottawa South. The Ottawa area has greatly influenced Hay’s writing and is often the setting in her novels. This event is presented by the UNB Department of English, the UNB Bookstore, The Fiddlehead, and the Canada Council for the Arts.